Oh you wanted more than that? Ok. There is short supply and high demand for homes to rent. The balance between these forms a price that a tenant is willing to pay a landlord. So far not controversial. However, that is not how the relationship between tenant and agent is characterised. At the time of signing a contract, the agent is the gatekeeper to a single home with any number of keen tenants. The agent is not an actor in the market for homes to rent but a creator of micro-monopolies for single homes. With the news that private renters could hold the deciding vote in 86 seats at next year's election, political parties are realising that they need to win them over. A research report published by a landlord representative body today tries and fails to defend deregulation of private renting, and only reinforces the case for a national landlords register. The Residential Landlords Association has published “The impact of regulation on the private rented sector”, a report by Professor Michael Ball of Henley Business School, which claims that current regulations are failing to achieve their aims. We agree that existing regulations are not working, but what renters need is a national register of landlords. A new report from Wriglesworth Consultancy and Paragon, the mortgage broker, has claimed that since the buy-to-let mortgage was launched 18 years ago, landlords have made an annual average profit of 16.3% - hugely outstripping average returns from the stock market. While this makes the UK buy-to-let market a hugely lucrative investment for landlords, it’s time to count the cost to their captive tenants. The Department for Work and Pensions (DWP) has published figures predicting that the Housing Benefit bill for private sector tenants will rise from £9.5bn in 2013/14 to £10.0bn in 2018/19 (when you take out inflation). In the same period, the number of private tenants claiming benefit will increase by more than 10%, from 1,674,000 to 1,852,000. In the past year, house prices have risen by 9.1% and in the same period the number of buy-to-let loans has increased by 39%, as landlords spot an investment opportunity. And it doesn’t matter if they’ve paid too much because the tenant, or their housing benefit, can pay off the mortgage. Happily renting or resigned to it? Over the Easter weekend, the Halifax brought out the latest instalment of its Generation Rent research, which it has been conducting with NatCen. The survey of 32,000 20 to 45-year-olds found that more people no longer want to own their own home - about a quarter of those who aren't homeowners already. This number corresponds to our poll finding that two thirds of renters want to buy but cannot. Some have ascribed the trend to young people being more content to rent for the long term, and the research finds that fewer people (though still a majority) regard renting as a barrier to settling in an area or raising a family. But the findings are not evidence of increased satisfaction among renters; they're a collapse in confidence that they will ever own their own home. As house prices rise by double-digit inflation, home ownership is a distant dream for increasing numbers of people, and high rents make saving for a deposit more and more difficult. Since 2007, tenants are supposed to have had peace of mind when handing over the best part of a month's wages at the start of a tenancy, with a government-backed deposit protection scheme. But Channel 4 News reported tonight that it's possible for a landlord to hold on to the money, then get barred from the scheme and make off with their tenants' money. The scheme's chief exec and the chair of the National Landlords Association say the scheme works for landlords, but it quite clearly didn't work for the 160 tenants who saw their money disappear. The deposit protection scheme simply won't protect deposits until this loophole is closed. We're calling on the government to review the scheme, and for the NLA to pay back the money that isn't protected. Channel 4's subject, Daniel Burton, rented flats from the owners only to sublet rooms to tenants, and is now running letting agents. His case serves as a reminder of the need for a register of landlords - and mandatory licensing of letting agents. Want to improve the private rented sector? Join the Vote. 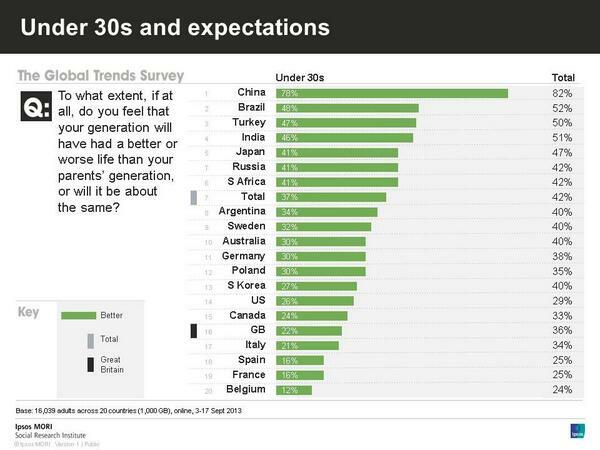 Ipsos Mori’s Global Trends Survey this week found that only 22% of under-30s in Britain think that they will have a better life than their parents' generation – a lower figure than the USA, Japan, Germany, Sweden, Australia and Canada. This morning, the Office for National Statistics revealed the latest miserable house price index. People who want to buy their first home must now pay 10.5% more than they would have a year ago - a figure that rises to 17.5% in London. Shared ownership - affordable housing for those who don't need it? Shared ownership is touted in some quarters as the answer to the housing crisis, but, as Harriet Meyer’s piece in yesterday’s Observer finds, existing schemes don’t seem to help anyone who needs it. The idea is that people who can’t afford the full price of a house can buy, say, a quarter of it and rent the rest, which is typically cheaper than renting 100% and also lets them build up an asset. It was designed with “key workers” in mind – those public servants like nurses or teachers who have to spend their careers in areas that are not affordable on a modest salary.